Stonewall Jackson Memorial Hospital has the most advanced and efficient x-ray and imaging technologies available. The Department is staffed by fully trained and radiological technologists and radiologists. Stonewall Jackson Memorial Hospital provides our medical staff with studies of the arteries to show poor circulation and insufficiency of the arteries. This simple procedure is used to diagnose certain bone disorders. Our CT scanner performs rapid whole body scans, and can obtain high quality slice-like images of selected areas. Stonewall Jackson Memorial Hospital offers digital mammography as part of a complete diagnostic and educational program that is ARC accredited and Medicare certified. We are now a Pink Ribbon facility. 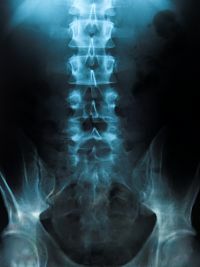 Magnetic resonance imaging is a new computer-assisted diagnostic technique which acquires images without the use of radiation. Our physicians have at hand the the latest in diagnostic medical imaging with a sophisticated digital gamma camera system. Some of the studies are imaging of the heart, lung, thyroid, or gallbladder function. The ultrasound unit provides high quality diagnostic information to our medical staff. It provides monitoring of obstetric patients and diagnosis of the abdominal and pelvic area.